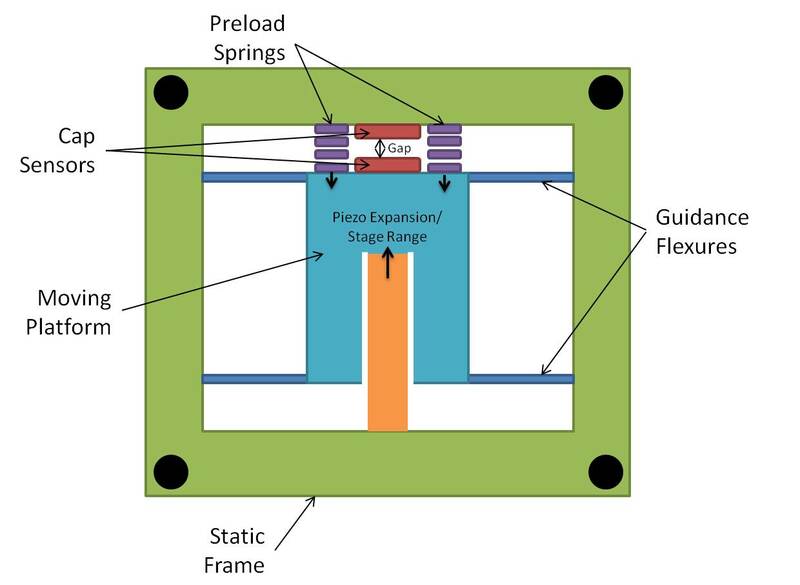 Flexure-based piezo stages are essentially blocks of metal with flexure patterns that create a moving platform suspended from static frame via flexures. The sketch below shows a simplified flexure stage that moves in one direction when the piezo expands or contracts. 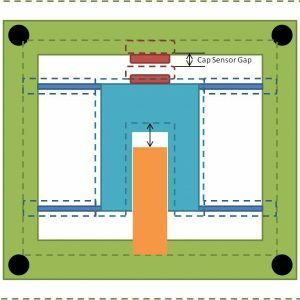 A capacitive sensor is used as the feedback sensor and a preload spring guarantees that the piezo will always maintain contact with the moving platform. As the temperature increases the metal structures will expand at a rate higher than the piezo which is made out of ceramic. An exaggerated picture of this is shown below where the dotted line represents the expanded material edges. The piezo has not expanded as much as the metal (the preload springs are not shown). 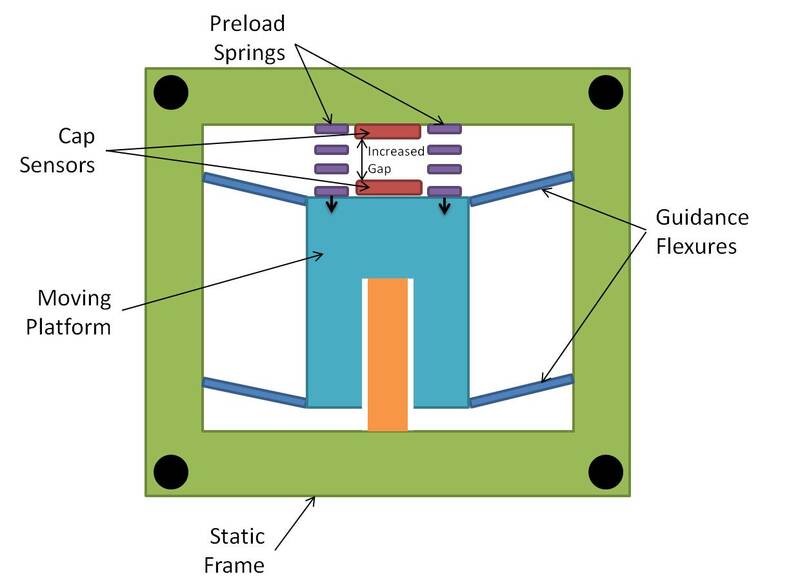 Due to the presence of the preload springs if the system is not in closed-loop, the preload springs will “push the moving platform towards” the piezo. An exaggerated sketch is shown below. 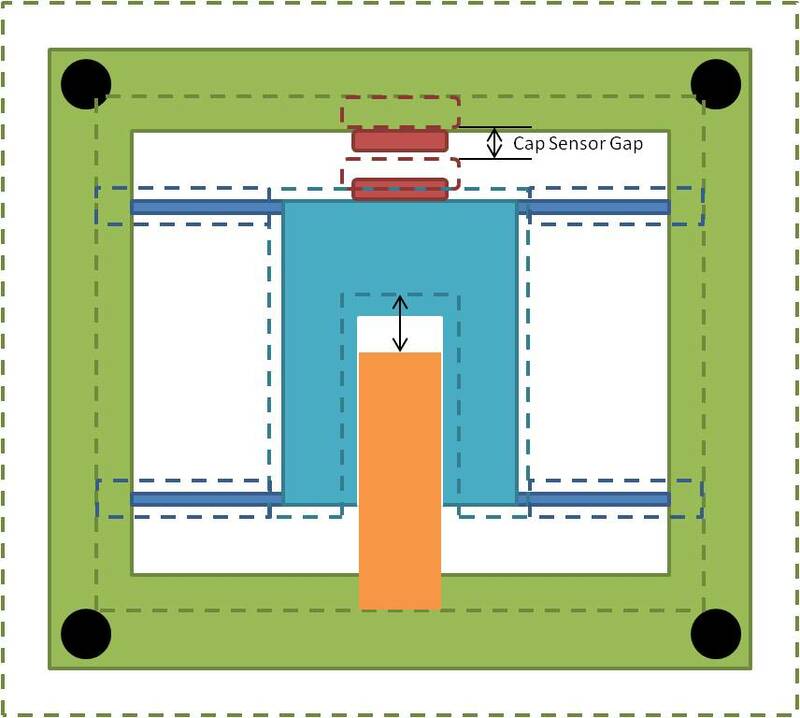 If the system is used in closed-loop, the controller will apply voltage to the piezo in order to maintain a constant capacitive sensor gap during the temperature increase. 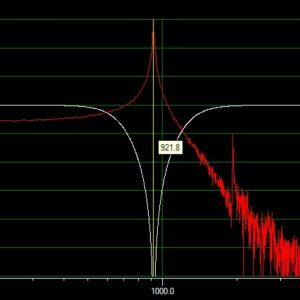 This will result to loss of the total available piezo expansion as a function of voltage, which may result to loss of total available closed-loop range. For most applications, the closed-loop range of the system will be unaffected by a small temperature change. The open-loop range of a stage is typically 20% larger than the calibrated, closed-loop range. To calculate how much available range we have before the closed-loop range is affected in a stage with no mechanical amplification we just need to calculate how much the piezo gap. Delta L, grows. 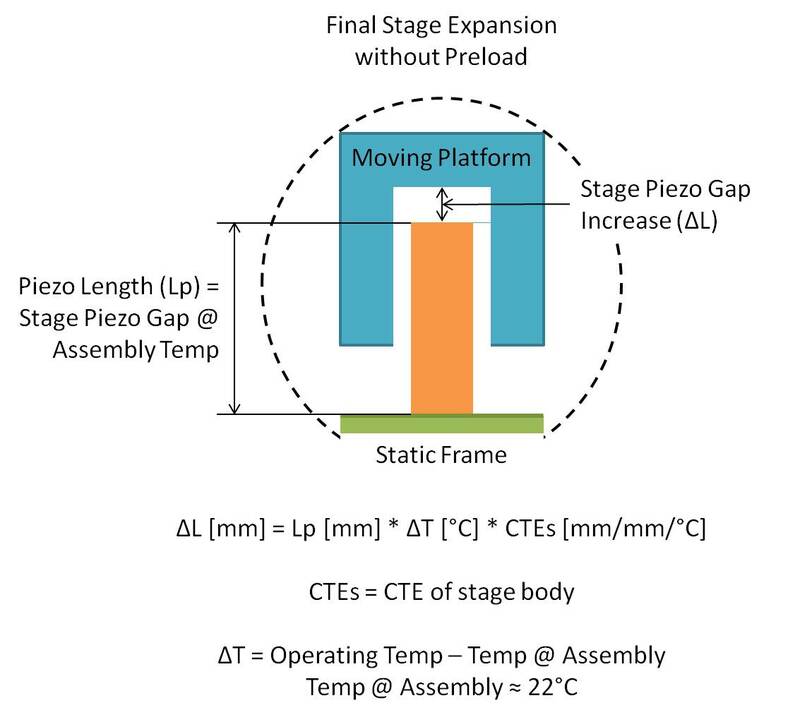 For a 10° C increase in temperature using an aluminum 45µm range stage (~30mm long piezo), the stage would lose ~7µm of range.